Obama: Donald Trump A Populist? LOL. 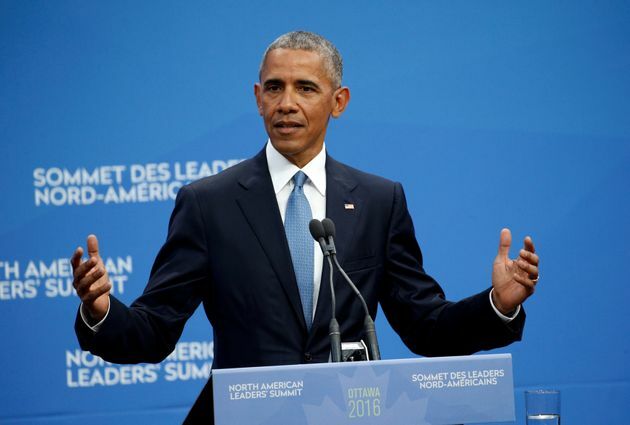 "I’m not prepared to concede the notion that some of the rhetoric that’s been popping up is populist,” Obama said at the start of a tirade during a press conference at the North American Leaders Summit in Canada. The president never mentioned Trump’s name, but the person he was talking about was clear. Minutes earlier, Obama had rebuked Trump for advocating a renegotiation of the North American Free Trade Agreement, or pulling out of it altogether if Canada and Mexico refuse to make it more favorable for American workers. acebook CEO Mark Zuckerberg's wall has been sparking heated discussion recently. Except this particular Facebook wall is made of stones, not puppy videos and handprint art. The 32-year-old billionaire is facing mounting criticism from locals in the tight-knit community of Kilaue on the Hawaiian island of Kauai over his construction of a six-foot wall around his $100 million estate on the isle's northern coast. Local residents say the wall blocks off the area's panoramic views and stymies the island's famous ocean breeze — in addition to looking pretty ugly. "﻿When certainties crumble, it’s often on the streets that the most coherent narratives emerge. One crumbling certainty is that Americans don’t elect fascists. That’s a 1930s European thing, we have long thought. This certainty seems to have prevented Trump’s GOP rivals from calling him out with the “F-word” while they still had a chance to block his rise, even as he asked supporters to swear a personal loyalty oath to him at rallies, retweeted Mussolini quotes, curried favor with white-nationalist groups, showed profound contempt for the separation of powers that defines the American democratic process, and repeatedly injected the language of violence into his speeches. That same certainty also stopped Republicans, until it was far too late to be effective, from explicitly denouncing Trump’s racism and demagoguery—even as he called Mexican immigrants “rapists” and decried Muslim immigrants as a fifth column. 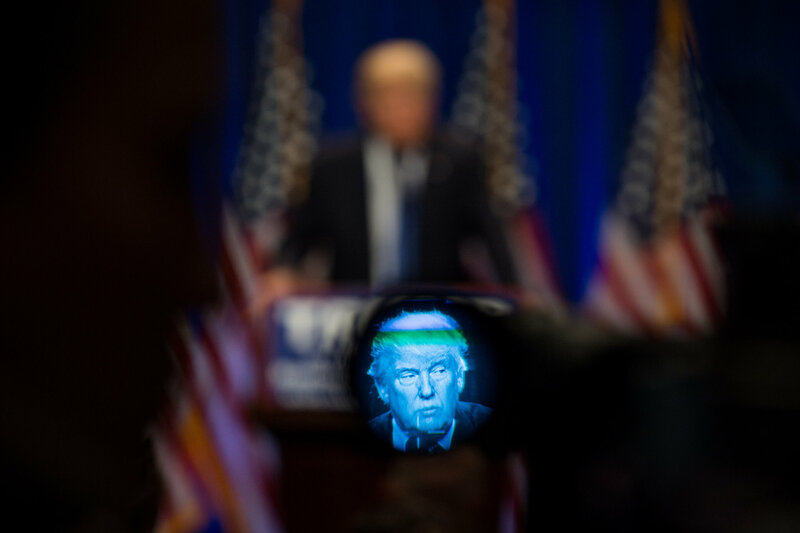 That same certainty has allowed television journalists to cover Trump either as entertainment—very profitable entertainment—or as just another suit in the crowd, rather than as an existential threat to the country’s democratic heritage. That same certainty led Hillary Clinton, during most of the primary season, to go no further than labeling the billionaire rabble-rouser “dangerous” and “risky.” Only in the days leading up to the California primary, after Trump declared that she should be imprisoned and that, as president, he would instruct his attorney general to begin investigating her, did Clinton finally denounce his dictatorial ambitions. Throughout most of the primary season, there was a kind of quiescence to the mainstream, inside-the- Beltway approach to Trump, a crippling rhetorical caution in the face of a full-frontal assault on the culture of tolerance and pluralism. Trump’s attack on Judge Gonzalo Curiel and his outrageous response to the Orlando massacre have, at long last, galvanized mainstream political voices, from the president on down, to call him out more forcefully. In recent weeks, Trump’s abysmal fund-raising numbers, falling approval ratings, and weak campaign organization, along with the swirling allegations that his family may be personally profiting from his campaign, have added a new vigor to the stop-Trump effort within the GOP. And yet, despite rumors of a delegate coup at the Republican National Convention, it still seems unlikely that a critical mass of GOP leaders will break with their presumptive nominee. And the Clinton campaign alone—reliant as the Clintons have historically been on focus groups and polling to craft their messaging—may not be able to marshal the political and cultural energies necessary to defeat Trump’s movement. If there is to be a true critical mass against Trumpism—a countervailing force that takes on not just the candidate, who could implode in the coming months, but the toxic forces he has unleashed—it will spring from the national protest movement that has been coalescing for months now....."
"In extraordinary scenes, Juncker said on Tuesday that he respected British democracy and last Thursday’s seismic vote for the UK to leave the European Union. There was a smattering of applause in the chamber. The former Luxembourg prime minister then broke off from his speech in French and addressed Farage, sitting to his immediate right, in English. “That’s the last time you are applauding here. And to some extent I’m really surprised that you are here,” Juncker said. “You were fighting for the exit. The British people voted in favour of the exit; why are you here?” he asked." Yet the origins of this debacle are as much European as British. As so often, the seeds of disaster were sown in the moment of triumph; of nemesis in prior hubris. It would be an exaggeration to say that a wall will be going up at Dover because a wall came down in Berlin, but there is a connection nonetheless. In fact, there are three connections. As their price for supporting German unification, France and Italy pinned Germany down to a timetable for an overhasty, ill-designed and overextended European monetary union. As a result of their liberation from Soviet communist control, many poorer countries in eastern Europe were set on a path to EU membership, including its core freedom of movement. And 1989 opened the door to globalisation, with spectacular winners and numerous losers. ‘Take back control’ is also the cry of Marine Le Pen (pictured), Geert Wilders and Donald Trump. The eastward enlargement of the EU in 2004 was followed by a large westward movement of people and, because of Blair’s generously miscalculated open-door policy, some 2 million of them came to Britain. They have been joined more recently by those seeking work from euro-torn Greece or Spain. Precisely because, in spite of Thatcherism, Britain is still basically a European social democracy, with generous welfare benefits, an easily accessed NHS “free at the point of need” and state schooling for all, pressures on those public services – and on housing stock in a country that for decades has built far too few homes – have been felt acutely by the less well-off. This is what I heard on the doorstep from the elderly white working-class woman and the Asian British hairdresser, not to mention the Syrian who runs a pizza parlour. It is a mistake to disqualify such people as racist. Their concerns are widespread, genuine and not to be dismissed. Unfortunately, populist xenophobes such as Nigel Farage exploit these emotions, linking them to subterranean English nationalism and talking, as he did in the moment of victory, of the triumph of “real people, ordinary people, decent people”. This is the language of Orwell hijacked for the purposes of a Poujade. "According to a 1990 Vanity Fairinterview, Ivana Trump once told her lawyer Michael Kennedy that her husband, real-estate mogul Donald Trump, now a leading Republican presidential candidate, kept a book of Hitler's speeches near his bed." "A naturalized citizen from El Salvador, Portillo brought her parents to the United States in 2001 and sponsored their green cards so that she could take care of them as they aged. In late 2013, when Aquilino was diagnosed with end-stage metastatic prostate cancer, she discovered how difficult taking care of him would be. As Aquilino’s condition worsened, he could no longer be moved from his bed to see a doctor. His body was riddled with tumors. His legs became too heavy for him to move, and his pain became unbearable. “It was ugly, ugly and scary, to see a loved one dying,” Portillo says in Spanish. “And if that person is your father, it’s something indescribable." "The future Mrs. Donald J. Trump was puzzled. Sensing her sorrow, Mr. Trump apologized, Ivana Trump later testified in a divorce deposition, and said it was his lawyer’s idea. “It is just one of those Roy Cohn numbers,” Mr. Trump told her. 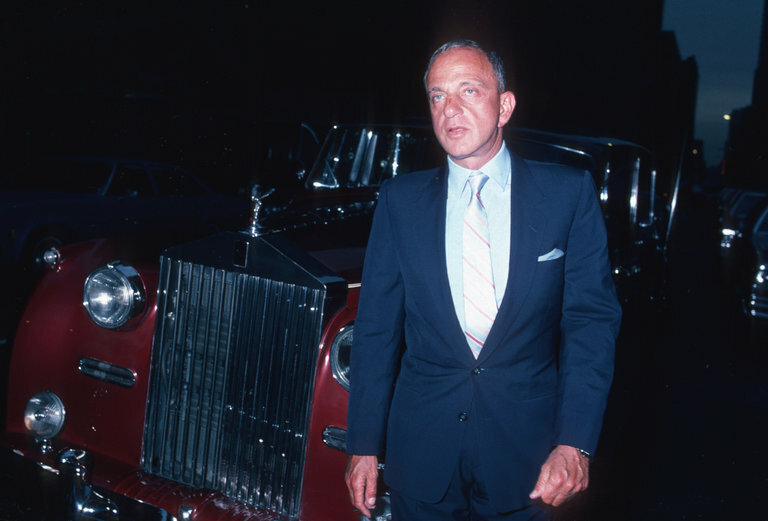 Then New York’s most feared lawyer, Mr. Cohn had a client list that ran the gamut from the disreputable to the quasi-reputable: Anthony (Fat Tony) Salerno, Claus von Bulow, George Steinbrenner. But there was one client who occupied a special place in Roy Cohn’s famously cold heart: Donald J. Trump. For 13 years, the lawyer who had infamously whispered in Mr. McCarthy’s ear whispered in Mr. Trump’s. In the process, Mr. Cohn helped deliver some of Mr. Trump’s signature construction deals, sued the National Football League for conspiring against his client and countersued the federal government — for $100 million — for damaging the Trump name. One of Mr. Trump’s executives recalled that he kept an 8-by-10-inch photograph of Mr. Cohn in his office desk, pulling it out to intimidate recalcitrant contractors. The two men spoke as often as five times a day, toasted each other at birthday parties and spent evenings together at Studio 54. And Mr. Cohn turned repeatedly to Mr. Trump — one of a small clutch of people who knew he was gay — in his hours of need. When a former companion was dying of AIDS, he asked Mr. Trump to find him a place to stay. When he faced disbarment, he summoned Mr. Trump to testify to his character. Omar matured with time. He took up soccer and skateboarding, became infatuated with weight lifting, and shed the flabbiness that had become a source of ridicule." "Omar Mateen was born in Queens in 1986 to Afghan parents. He moved to Florida with his family in 1991 and spent his early years in the Port St. Lucie area on the state’s east coast. In both elementary and middle school, his teachers described him as often being unable to focus or control himself in class. As a young man, Mr. Mateen became interested in a career in law enforcement andearned an associate degree in criminal justice technology from Indian River State College in 2006. As investigators comb through his past to glean an understanding of the young man whose attack on the Pulse nightclub in Orlando killed 49 people and wounded 53 others, a portrait of a complicated childhood and young adulthood is emerging. These documents offer a glimpse into Mr. Mateen’s life." This past weekend, another terrible tragedy struck, this time in Orlando. Like the Emanuel A.M.E. Church, Pulse night club was a sanctuary for a community, violated by an act of hate. 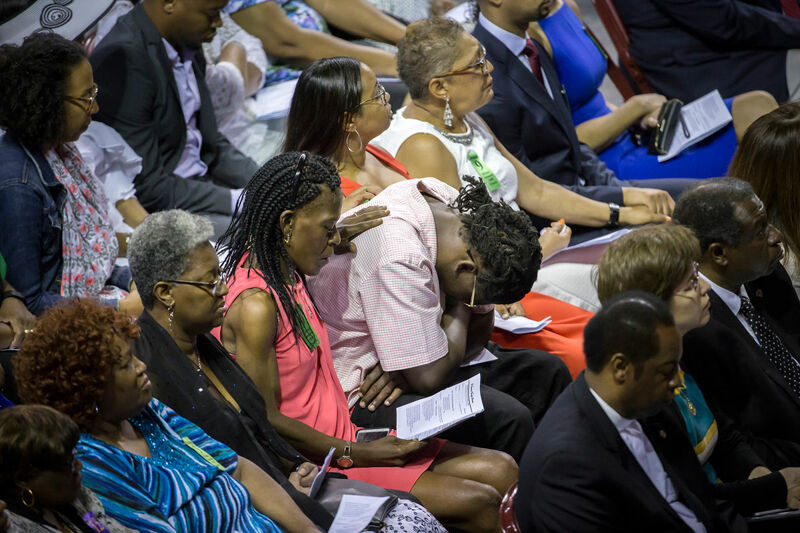 Coming so close to the one-year anniversary of Charleston, Orlando is a tragic and sobering reminder that we are still lost, and have yet to find those best selves. How can we find our way? Efforts at gun control have stalled in Congress, and Americans have grown increasingly weary. Most Americans support measures like universal background checks, preventing people on the no-fly list from purchasing firearms, and bans on assault weapons. 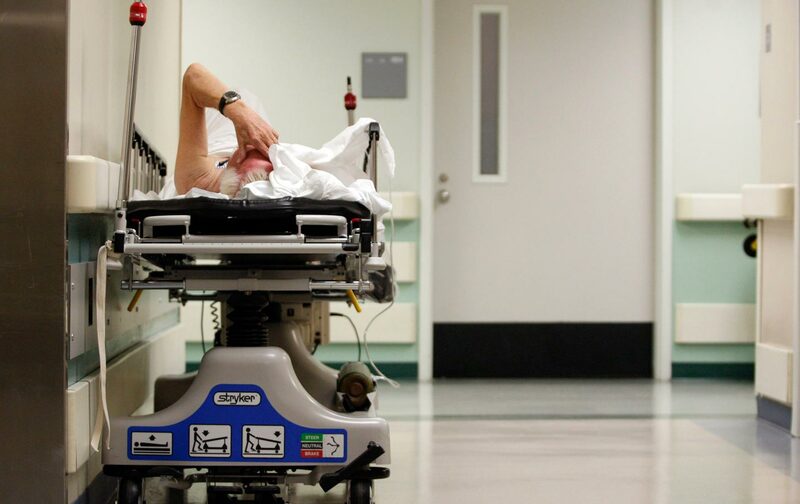 But despite the popularity of these proposals, and despite the fact that Americans are now as likely to die from a gunshot as they are to die in a car accident, politicians have refused to act. On Tuesday night, Representative Jim Himes, of Connecticut, along with several other Democrats, walked out of the House of Representatives during a moment of silence for the Orlando victims. Silence, Himes argued, was not what the nation needed. “Screaming at painful volume the names of the forty-nine whose bodies were ripped apart in Orlando, and the previous victims and the ones before them” would be a much better way to honor the dead, Himes argued. Our country needs changes, both cultural and legislative." "They will remember, a century from now, who stood up to the tyrant Donald Trump and who found it expedient to throw out the most basic American values — the “Vichy Republicans,” as the historian Ken Burns called them in his Stanford commencement speech. The shrug from Mitch McConnell, the twisted explanation of Paul Ryan, who said Trump is a racist and a xenophobe, but he’s ours — party before country. As well, the duck-and-hide Republicans, so quick to whip out their pocket copy of the Constitution, now nowhere to be seen when the foundation of that same document is under assault by the man carrying their banner. They will remember, in classrooms and seminars, those who wrote Trump off as entertainment, a freak show and ratings spike, before he tried to muzzle a free press, and came for you — using a page from another tyrant, Vladimir Putin, admired by the homegrown monster. "Hillary Clinton is opening her wallet and seizing the moment. Just hours after the votes were cast in the final Democratic primary, the Clinton campaign started reserving advertising blocks in eight battleground states on Wednesday, marking the presumptive Democratic nominee’s first significant attempt to define Donald Trump. Clinton’s camp has already released one of the spots, which offers a harsh contrast between Trump — encouraging violence at his rallies and mocking a reporter’s disabilities — and the former secretary of state. 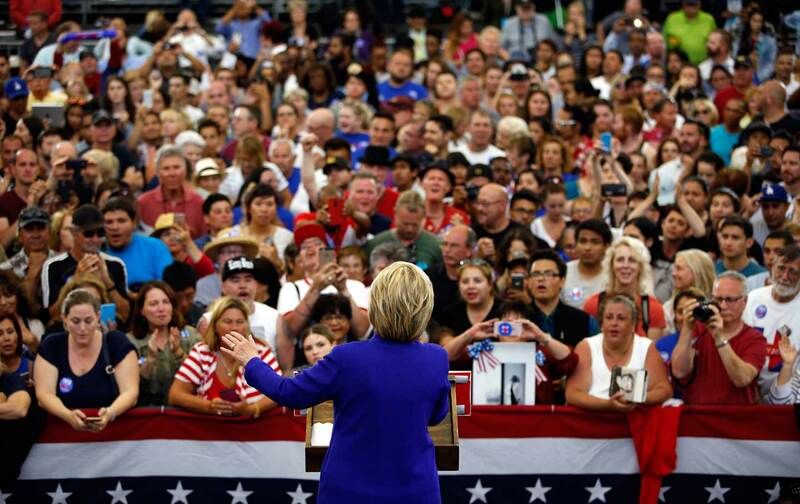 Other spots are expected to be softer focus, positive ads about Clinton. By reserving time in key swing states — at least Colorado, Florida, Iowa, Nevada, New Hampshire, North Carolina, Ohio, and Virginia — the Clinton camp is sending an unmistakable message to the presumptive GOP nominee that it intends to press into traditionally Republican territory without spending too much time worrying about defending traditionally Democratic destinations where Trump insists he will compete, said a handful of high-level Democrats close to the Clinton effort. So You Think You Know the Second Amendment? - The New Yorker I have been teaching this to Constitutional Law classes for a dozen years. "For more than a hundred years, the answer was clear, even if the words of the amendment itself were not. The text of the amendment is divided into two clauses and is, as a whole, ungrammatical: “A well regulated militia being necessary to the security of a free state, the right of the people to keep and bear arms shall not be infringed.” The courts had found that the first part, the “militia clause,” trumped the second part, the “bear arms” clause. In other words, according to the Supreme Court, and the lower courts as well, the amendment conferred on state militias a right to bear arms—but did not give individuals a right to own or carry a weapon." Silicon Valley will need to catch up with him LeVar Burton on gaming, Star Trek and why. Silicon Valley will need to catch up with himLeVar Burton on gaming, Star Trek and why. "On Star Trek, in addition to your role as the engineer you were famous for wearing a piece of technology: a visor that allows the blind to see. We've seen other Star Trek inventions like the communicator and the PADD make it to reality (in the form of smartphones and tablets, respectively): when's the visor coming? The visor is on its way. There are several more iterations that we will need to go through in order to get the technology into that small of a device, but we're definitely heading towards giving sight to the sightless. We're getting really close." "The massacre in Orlando, where 49 people were gunned down at an L.G.B.T. nightclub and dozens of others were wounded, came at the hands of a coward and a monster, but make no mistake: This was our monster." Donald Drumpf is a cowardly putz. "WASHINGTON — Top Democrats, including President Barack Obama, Hillary Clinton and Senate Minority Leader Harry Reid, challenged Republican lawmakers on Tuesday to defend Donald Trump's response to the terrorist attack on Orlando Sunday morning that claimed 49 lives. Few took up the call. Instead, GOP lawmakers in Washington jumped, ducked and crawled through yet another obstacle course laid by Trump as reporters peppered them with questions about the candidate's proposed ban on Muslim travel, his suggestions that President Obama sympathizes with radical Islamists and should resign and his threat of "big consequences" for Muslim communities in America who he says are harboring terrorists. "I'm not going to be commenting on the presidential candidates today," Senate Majority Leader Mitch McConnell said after receiving a question about Trump's accusations against the president. House Speaker Paul Ryan, who lambasted Trump's Muslim ban when it was first proposed in December, said that he still disagreed with the candidate. Asked about Trump's repeated suggestion that "there's something going on" with Obama that prevents him from confronting terrorism, however, he drew the line. "I am not going to spend my time commenting about the ups and downs and the in-betweens of comments," he said. That was a popular reaction among Republicans, some of whom looked like they would rather be anywhere else doing anything but taking a question on Trump. Jostling to get onto an elevator, Senator Pat Toomey, R-Penn., told reporters inquiring about Trump's Monday speech that he "didn't follow it closely." WOW! Obama NUKES Donald Trump On Radical Islam! It was one of George W. Bush’s most viscerally powerful commercials against John Kerry in the 2004 presidential race: a pack of wolves lurking in a forest as a narrator accused Mr. Kerry of slashing intelligence gathering against terrorists. “Weakness attracts those who are waiting to do America harm,” the ad warned, as the wolves started running toward the camera. Turns out the metaphor was subtle, at least by Donald J. Trump’s standards. Exploitation of fear has been part of the American political playbook since colonial pamphleteers whipped their neighbors into a frenzy over British misrule. It took on new potency in the nuclear age with Lyndon Johnson’s “Daisy” ad against Barry Goldwater in 1964 and Jimmy Carter’s warnings about Ronald Reagan’s finger on the button in 1980. But Mr. Trump — who drew harsh condemnation from President Obama on Tuesday — has intensified the power of fear in presidential politics by demonizing an entire religious group. And he has expanded the use of that power by stirring up fear in the aftermath of national traumas, like the San Bernardino, Calif., attack and now the Orlando shooting, that traditionally elicited measured and soothing responses from political leaders"
MALCOLM X: “Martin Luther King Jr. is a TRAITOR” - This is an example of Malcolm's intelligence. You may not agree with his attack on MLK but it it hard to argue with the logic and common sense found in his argument. Malcolm X represented equal personhood. For men especially it meant that Black men did not have to grovel before White men. I love him for that. Growing up he was much more appealing to me than King. His incite was far ahead of King's in my mind. King got there though in his famous April 4, 1967 speech "Beyond Vietnam at Riverside Church NYC. He never however was to untangle his confusion involving non violence as a tactic vs a philosophy. As a tactic non violence may be an other option but you cannot use non violence when someone is trying to kill you. You must fight back and kill them first. This was the practical side of Malcolm while MLK was lost in his idealistic but misguided non violent philosophy. As my best friend Charlie has always said "you have to speak in a language they understand". Malcolm understood this. This was pretty obvious to me. The media focused on ISIS. This looked like just a gay man who could not accept who he was striking out at the world. He claimed affiliation with Shite Hamas and then Al Qaeda and ISIS. That makes no sense. Hamas is a enemy of Sunni Al Qaeda and ISIS. 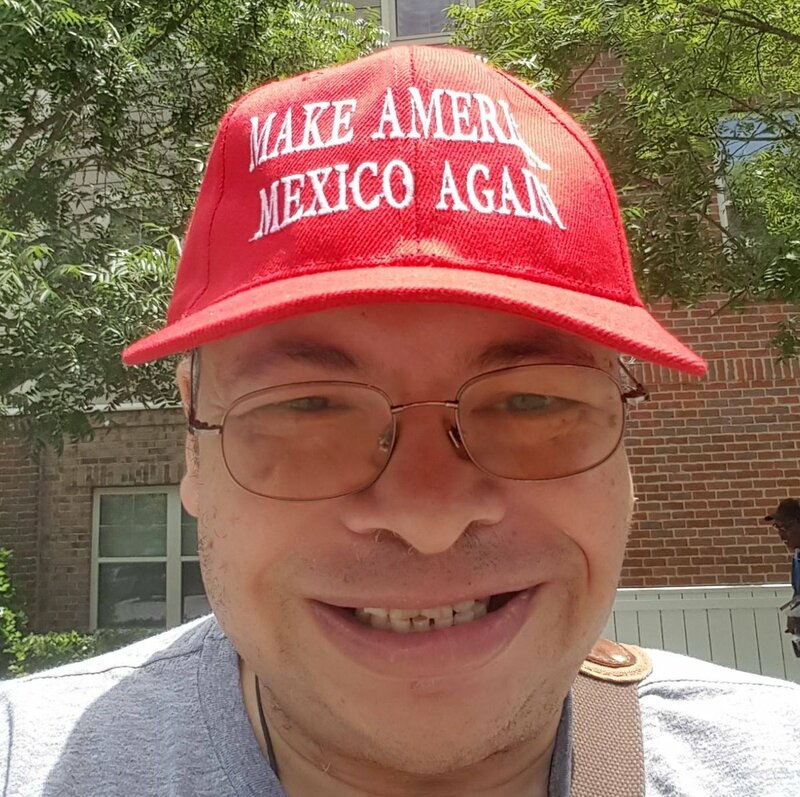 This news coverage of this hate crime has been so perverted by the financial greed of the media and the political greed of Trump and his minions. America is in a sad state. "My name is Seddique Mateen, and I am very sad, and very mad and emotionally disturbed with what my son did. This is a horrible act, and I don’t agree [with] what he did. It was very bad behavior, bad act, and in the past two days my love and my emotion, and my condolences to those people – they lost their family. I wish he was alive. I would ask him, why did he do this? I wish I had indication that he was going to do [this], I would have arrested him myself." How long will it be before American Muslims are forced to wear yellow badges with the star and crescent? Donald Trump, the man Republicans will nominate to be president, has already said that, in addition to banning Muslim immigration, he would also look at closing mosques and forcing Muslims already in the country to register with the authorities. And now, exploiting the weekend’s massacre in Orlando, Trump is claiming “thousands” of American Muslims, protected and hidden by their coreligionists, are prepared to commit even greater carnage because of their hatred for the country in which they live. The emphasis on ISIS, in the media, and it's assumed motivation with this mass murderer is dwarfed by the hard evidence that points to a self loathing man who could not handle is own gay feelings. Radical Islam, to my eyes appears to be a money making smoke screen for the media covering up the dangers of a culture that does not allow natural, homosexual feelings to be expressed. Self loathing is a very dangerous and explosive time bomb. "Compared to 22 other high-income nations, the United States' gun-related murder rate is 25 times higher. And, even though the United States' suicide rate is similar to other countries, the nation's gun-related suicide rate is eight times higher than other high-income countries, researchers said. "Overall, our results show that the U.S., which has the most firearms per capita in the world, suffers disproportionately from firearms compared with other high-income countries," said study author Erin Grinshteyn, an assistant professor at the School of Community Health Science at the University of Nevada-Reno. "These results are consistent with the hypothesis that our firearms are killing us rather than protecting us," she said in a journal news release." 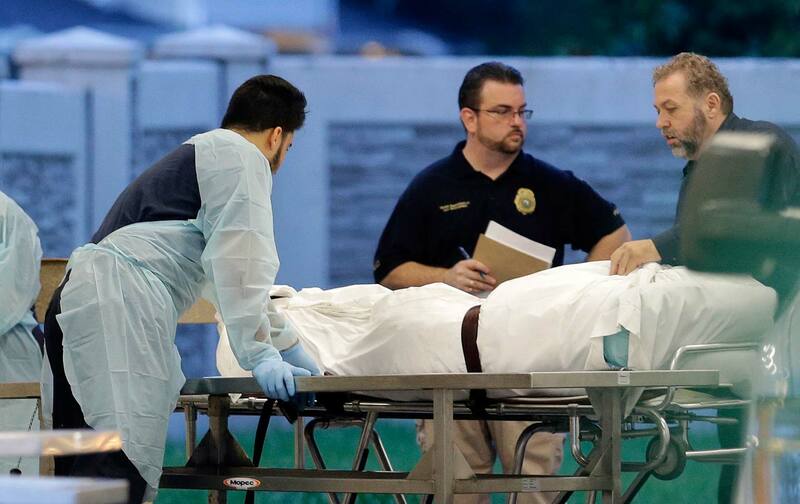 "WASHINGTON, June 13 (Reuters) - U.S. President Barack Obama on Monday said that there was no clear evidence that the shooter in Sunday’s massacre in Orlando, Florida had been directed by a larger terrorist network. “At this stage we see no clear evidence that he was directed” by extremists,Obama said to reporters, speaking in the Oval Office. "But liberal favorite Elizabeth Warren wanted to make sure Ryan's policy ideas didn't go completely unnoticed. The Massachusetts senator took to Facebook later in the day to tear apart Ryan's plan as a retread of old Republican proposals. "It looks more like an agenda for creating poverty than reducing it," Warren wrote. "In fact, if you look closely, Paul Ryan's new plan is just a shiny repackaging of Paul Ryan's old plan: Keep huge tax breaks and special loopholes open for billionaires and giant corporations, gut the rules on Wall Street, then say there's no money for Social Security, for Medicare, for education, or anything else that will help struggling working families." Warren is hardly alone in that assessment. Ryan's anti-poverty plan rests on some of his favorite pet causes: furthering the '90s-era welfare reform emphasis on pushing people toward work and block-granting funding for programs while giving states more leeway on how they run the programs. The left-leaning Center for Budget and Policy Priorities noted that it's nice to hear Republicans focused on poverty but blasted Ryan's proposal. "In several areas," CBPP's Robert Greenstein wrote, "the plan repeats standard congressional Republican positions in bashing a series of federal laws and regulations designed to protect low- and middle-income families. "Slate's Jordan Weissmann highlighted the absurdity of the fact that Ryan's plan to help poor people includes repealing the Obama administration's fiduciary rule, a regulation that forces financial advisers to offer retirement advice in the best interests of their clients. "The basic consumer protections offered by the fiduciary rule aren't going to deprive anybody of essential financial advice," Weissmann wrote, "and fighting it is an obvious sop to a powerful industry. Trying to cloak it in the language of an anti-poverty effort is as sad as it is hilarious." "A former co-worker, Daniel Gilroy, said Mr. Mateen had talked often about killing people and had voiced hatred of gays, blacks, women and Jews. American Muslim groups condemned the shooting. “The Muslim community joins our fellow Americans in repudiating anyone or any group that would claim to justify or excuse such an appalling act of violence,” said Rasha Mubarak, the Orlando regional coordinator of the Council on American-Islamic Relations." "Omar Mateen’s former wife says the man responsible for America’s deadliest ever mass shooting was physically abusive towards her, had mental health issues and was “obviously disturbed, deeply, and traumatised”. Sitora Yusifiy was married to Mateen for four months in 2009 until her family was forced to “literally rescue me” after he kept her “hostage”, she said on Sunday in Colorado. “In the beginning he was a normal being that cared about family, loved to joke, loved to have fun,” Yusifiy said of Mateen, whom she had met online. “A few months after we were married I saw his instability, I saw his bipolar, and he would get mad out of nowhere, and that’s when I started worrying about my safety. “Then after a few months he started abusing me physically, very often, and not allowing me to speak to my family, and keeping me hostage from them,” she said. She said her family arrived to rescue her from Mateen “and had to pull me out of his arms”. "The full extent of Mateen’s motivations may have been complex and less clear than immediately apparent, though. A knowledgeable US official told the Guardian that while the federal investigation was in the earliest stages, an initial hypothesis regarding the shooter’s motive leaned closer to a hate crime than an act of terrorism. That investigation was still determining if the shooting was “terrorism or a massive, massive hate crime”, the official said. The official emphasized that all hypotheses were preliminary. Investigators were still gathering facts about the mass-casualty incident. Authorities said it was not immediately clear if the shooter was working alone, or had outside support or training. When killed, he was carrying a pistol and an assault rifle. Mir Seddique, Mateen’s father, told NBC News: “This has nothing to do with religion.” He added that his son was infuriated when he recently saw two men kissing in Miami. ISIS takes responsibility for Orlando mass shooting - CBS News Of course they would claim it. I seriously doubt that this is anything more than domestic terrorism, a hate crime. Of course they would claim it. I seriously doubt that this is anything more than domestic terrorism, a hate crime. The American media, in search of profits is playing into the agenda of ISIS by sowing fear, the real goal of terrorism. Various law enforcement officials have identified the shooter at the Pulse Nightclub in Orlando as Omar Mateen, 29, who was born in New York and lived in Port St. Lucie on Florida's eastern shores. Federal law enforcement officials said they had found no indication so far that the attacker was linked to any wider organization, though they and the police were investigating several possible terrorism angles, both overseas and in the United States." "The Society Library, as readers of Ron Chernow’s fine foundational biography of Hamilton know, played an outsize role in the run-up to the American Revolution, chiefly because it was one of the few educational institutions in New York that was outside the hold of the Crown or the Church. Formed as a kind of book co-op, in 1754, it blessedly persists as a lending library to this day, having long ago moved uptown, to the north side of Seventy-ninth Street, between Madison and Park, after a long stay on University Place. 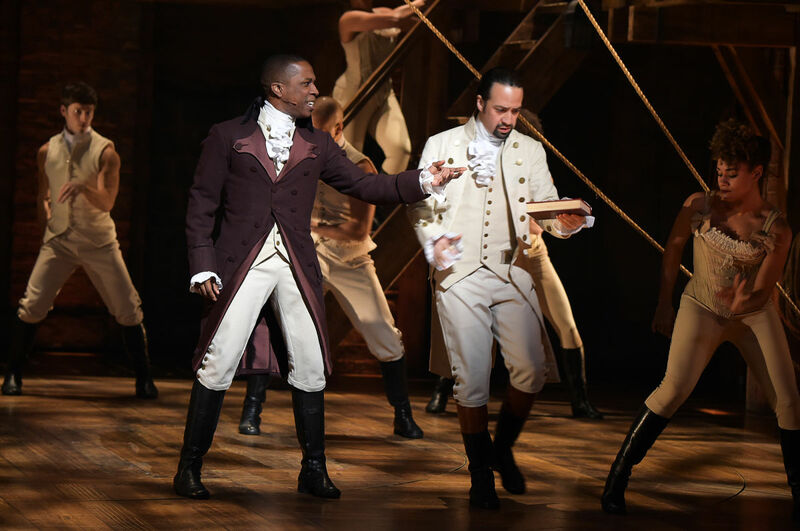 Astonishingly, a little inquiry proves that the library not only still keeps records of all the books that Burr and Hamilton borrowed (and, mostly, returned) but also has many of the books themselves—not merely the same titles, but the exact same books that Hamilton and Burr handled and thumbed and read and learned from. What’s more, it turns out that, by a series of benevolent bequests, the library also has a few choice and telling letters from Burr and Hamilton and even from Eliza Hamilton—“best of wives and best of women,” as Manuel’s lyrics have it—all speaking around, and eventually to, the famous and fatal affair. So, hearing this news, we quickly—as a writer would have put it in this magazine in Thurber’s day—hied ourselves over to the Society Library’s reading room, and went to work to find out more." "It starts, of course, with the need to trounce Trump. Never before in our history has such a demagogic, unqualified, divisive candidate been this close to leading the most powerful country in the world. Trump has no experience governing, little apparent knowledge of the many complex issues facing the nation, and a temperament wholly unsuited to the office. He has built his candidacy on the politics of division: specifically, in his commitment to build a wall at the US-Mexican border, and more generally, through his denigration of women, Muslims, Latinos, and the disabled. Paul Ryan conceded on Tuesday that Trump’s criticism of the judge hearing the lawsuit against Trump University was “textbook” racism—but Ryan nonetheless continues to endorse him. The prospect of Donald Trump leading this country should be more than enough reason for progressives to back Hillary, and to do so as if the future of the nation depends on it—because it does." "The Trump candidacy has put other Republican candidates in a bind. 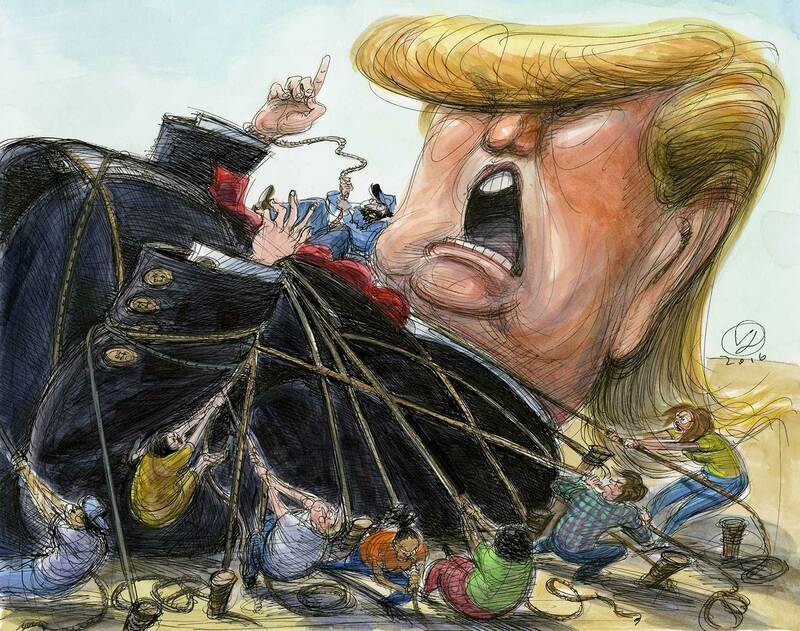 They can tie their lot to his immigrant-bashing campaign and hope that voter-suppression tactics will blunt the growing segments of the electorate galvanized by the prospect of defeating him. Or they can disavow him, recognizing that further alienating nonwhite voters will do severe damage to the party in the long run. Besides being self-defeating, vilifying groups of people is morally abhorrent. Republicans are signaling to millions of citizens and aspiring Americans: You’re not welcome here; this is not your home. This hostility has invigorated a decades-long effort by Latinos and other groups to increase political participation. More than 27 million Latinos will be eligible to vote in November, a 60 percent increase from a decade ago. Civic groups and Spanish-language media are making a huge push to register voters and get permanent residents to become citizens in swing states, hoping to unlock the power of a voting bloc that has historically had low turnout. “If I were a Republican Party leader at the state level, I’d be looking at how this could affect me now, but also at the long game,” said Mindy Romero, the director of the California Civic Engagement Project at the University of California, Davis." "San Francisco — ASK people to identify a few landmark Supreme Court decisions on race, and they are likely to point to classics like Brown v. Board of Education, which ended segregation in schools, or Loving v. Virginia, which prohibited restrictions on interracial marriages. But 40 years ago Tuesday, the Supreme Court decided a pivotal case on race and equality whose legacy has profoundly shaped American race relations. And most people have never heard of it. The case, Washington v. Davis, involved the constitutionality of Test 21, developed by the federal government and used by the District of Columbia police force to assess people looking to become police officers. From 1968 to 1971, 57 percent of black applicants failed Test 21 compared with 13 percent of whites, leading two black would-be officers to file suit. The issue was whether a “race neutral” test that led to vastly different racial outcomes violated the Equal Protection Clause." The awkward spectacle of Donald Trump at the Road to Majority conference. LOL, I have always said the religious right were a group of phony hypocrites, Pharisies in the flesh. 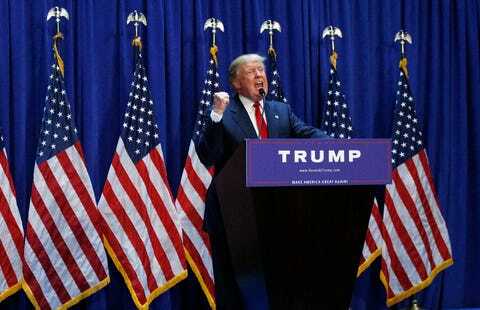 "On Friday afternoon, Donald Trump headlined the Road to Majority conference, the first big Republican event since helocked up the party’s nomination. Jointly organized by the Faith and Freedom Coalition (Ralph Reed’s successor to the Christian Coalition) and Concerned Women for America, the Road to Majority was meant to excite social conservatives for the upcoming election. It featured a lineup of big Republican names—Sen. Mitch McConnell, Carly Fiorina—and Christian-right activists, several of whom had previously worked to thwart Trump and who now had to fire up an audience for their perpetually off-message orange sybarite of a candidate. It was a degrading spectacle; I almost felt bad for them." In three interviews with The Times since late April, Mr. Trump acknowledged in general terms that high debt and lagging revenues had plagued his casinos. He did not recall details about some issues, but did not question The Times’s findings. He repeatedly emphasized that what really mattered about his time in Atlantic City was that he hadmade a lot of money there. Mr. Trump assembled his casino empire by borrowing money at such high interest rates — after telling regulators he would not — that the businesses had almost no chance to succeed." How Donald Trump Bankrupted His Atlantic City Casinos, but Still Earned Millions - The New York Times: ""
"The Norwegian newspaper VG has reported a truly amazing story about a newly-wed trying to get to Norway to be with her husband, and the stranger who helped pay an unexpected luggage surcharge. The blog "Leisha's Random Thoughts" has translated the story. When it was finally Mary’s turn, she got the message that would crush her bubbling feeling of happiness. -You’ll have to pay a 103 dollar surcharge if you want to bring both those suitcases to Norway, the man behind the counter said. -I was completely desperate and tried to think which of my things I could manage without. But I had already made such a careful selection of my most prized possessions, says Mary. As tears streamed down her face, she heard a "gentle and friendly voice" behind her saying, "That's okay, I'll pay for her." Although this happened 20 years ago, Mary still remembers the authority that radiated from the man. -He was nicely dressed, fashionably dressed with brown leather shoes, a cotton shirt open at the throat and khaki pants, says Mary. She was thrilled to be able to bring both her suitcases to Norway and assured the stranger that he would get his money back. The man wrote his name and address on a piece of paper that he gave to Mary. She thanked him repeatedly. When she finally walked off towards the security checkpoint, he waved goodbye to her. Who was the man? Barack Obama. "Elizabeth Warren will call Donald Trump “a loud, nasty, thin-skinned fraud” in a speech to a progressive legal group Thursday, according to excerpts of her remarks provided by her office. Warren is looking to play a major role in uniting the Democratic Party after a contentious presidential primary, in part by going after Trump. At a conference of the American Constitution Society in Washington Thursday, Warren will take aim at Trump’s attacks on the federal judge overseeing a lawsuit against Trump University, according to the excerpts. "When you’re deciding whether to plunge into a marriage, don’t ever make the mistake of thinking you’re marrying the person your partner is going to become, once he or she finally grows up or finds that perfect job or stops making meth in the basement. The only person you’re marrying is the one sitting right in front of you, and while some people do improve over time, only a fool would count on it. On second thought, this advice probably comes too late for the Paul Ryans and Bob Corkers of the world, who were exactly this foolish when they wrapped their arms around Donald Trump and said: “I do.” But you know, they never asked." "Far too many Republicans share this kind of racism and have for a long time. Trump has just dispensed with dog whistles and revels in his bigotry instead. But this is the party the Republicans have been deliberately and assiduously building for many decades, the party of division and intolerance. George H.W. Bush’s racist tactics in 1988 against Michael Dukakis — the Willie Horton ad in particular — seem almost genteel by comparison." "The case, Washington v. Davis, involved the constitutionality of Test 21, developed by the federal government and used by the District of Columbia police force to assess people looking to become police officers. From 1968 to 1971, 57 percent of black applicants failed Test 21 compared with 13 percent of whites, leading two black would-be officers to file suit. The issue was whether a “race neutral” test that led to vastly different racial outcomes violated the Equal Protection Clause. A) Honest effort is always rewarded. B) The best are the first chosen. C) Ill luck passes no one by. D) The highest in rank have farthest to fall. E) The stubborn are soon broken. Minority applicants were at a disadvantage because the questions were geared for white cultural norms and idioms. But the disparate failure rates also speak to decades of racially separate and unequal education. Test 21 can be seen as part of a long American tradition — from grandfather clauses to literacy tests — of seemingly race-neutral measures functioning in a discriminatory manner."